Su’a William Sio the Labour MP for Mangere will receive the Tax Justice petition in front of Parliament Buildings on Tuesday 16 August. The Tax Justice petition requests parliament to: 1. Remove GST from food; and 2. Tax financial speculation. “We’re very pleased to have Su’a William Sio receiving the petition, because we’ve had good support in his Mangere electorate for the campaign,” says Vaughan Gunson, Tax Justice campaign coordinator. Mr Gunson says the Tax Justice campaign is on target to present 50,000 signatures to Mr Sio. “Removing GST from food is an immediate action which would address rising food prices that are hurting low and middle income earners,” says Gunson. Su’a William Sio says he looks forward to tabling the Tax Justice petition before parliament. He says having 50,000 signatures on a petition is enough reason for Parliament to take note and consider the merits and substance of this petition. “The large numbers of people signing this petition also reflects the significant numbers of New Zealanders who are struggling to make ends meet due to the high cost of living, which I see everyday in Mangere,” says Mr Sio. Mr Gunson believes the issue of Tax Justice will not go away. He is confident that progressive organisations and political parties can build a broad movement for Tax Justice that challenges the National government’s mantra of lower taxes for the rich and more GST for the rest of us. The extent of Israel's illegal sea wall around Gaza can be seen in this Wikipedia map. "Kia Ora Gaza will soon be launching a campaign for Freedom Flotilla 2, an international fleet due to sail to Gaza in late June to break Israel's illegal siege of the Palestinian coastal enclave," said Grant Morgan, co-organiser of New Zealand's Gaza aid network. "More details will be announced over coming days about Kia Ora Gaza's involvement with this European-driven civil society initiative." 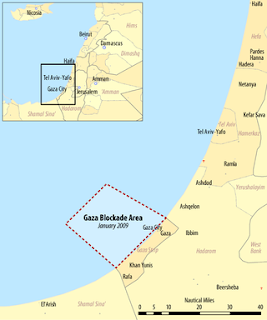 Kia Ora Gaza was set up in response to Israel's deadly attack on Gaza aid ship Mavi Marmara in May 2010, when nine civil society volunteers were shot to death in a violent act of state piracy. Later in 2010, Kia Ora Gaza raised NZ$100,000 to send a six-person team on an international land convoy to Gaza led by UK charity Viva Palestina. NZ$7 million of medical aid and other humanitarian supplies were successfully delivered to Gaza via Egypt's land crossing after a tense 10-day standoff with the now-deposed regime in Cairo. "Yet Gaza's 1.5 million Palestinians are still suffering from Israel's cruel and criminal siege, which includes a ferocious sea blockade," said Mr Morgan. "Every year, dozens of Gazan fishermen are killed and wounded by Israeli warships for putting a net in the sea to support their families." 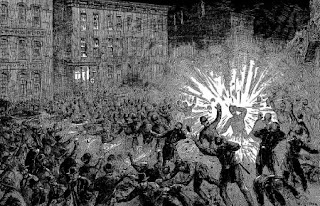 Perhaps it's one of history's surprises that the popular uprising surging through Spain (and which is beginning to reverberate throughout the rest of Europe) was sparked on the 140th anniversary of the Paris Commune, a heroic moment in which the fundamental demand was also that of democracy. But a democracy conceived as a government by, for, and of the people, and not as a regime serving the interests of patronage and in which the people's interests are inexorably subordinate to the imperative of business profits. This is precisely the reason that the demands of the "indignant" resonate in a way that immediately brings to mind those who, with weapons in hand, came out to defend Parisian women and men during those heroic days in 1871, culminating with the constitution of the first working-class government, albeit one restricted to the confines of the city of Paris. A government that lasted barely more than two months and was later smashed by the French army, with the open complicity and cooperation of Bismarck's troops, which had just inflicted a humiliating defeat on the heirs of Napoleon's armies. 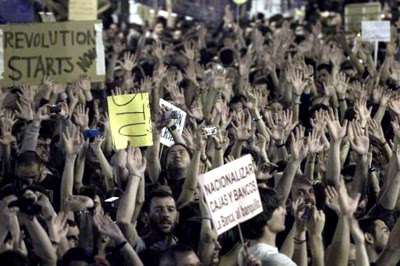 Slogans cited above reveal a reality, a reality of indignation and aspiration, and this has put neo-liberalism on the dock in Spain. This is a reality neo-liberalism is facing in countries. 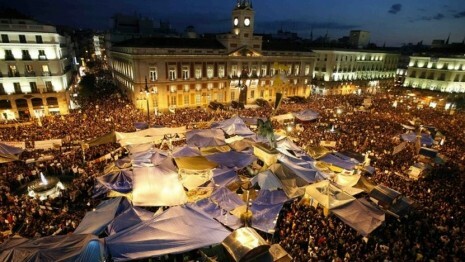 In Spain, neo-liberalism is being implemented under the stewardship of the socialists. 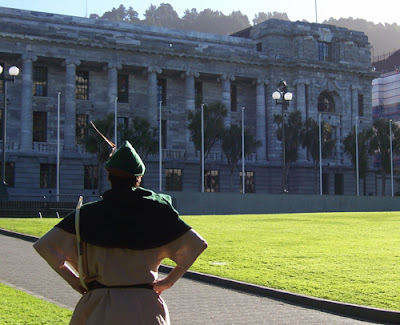 Robin Hood has been sighted in the vicinity of New Zealand’s parliament buildings. “We expect he’s going to join the union rally protesting the National government’s Budget cuts,” says Vaughan Gunson, Tax Justice campaign coordinator. The union organised Don’t Cut Our Future rally commences at 12.15pm tomorrow, Thursday 19 May, outside Parliament. “There’s a growing global movement demanding that the banks and other financial institutions be made to foot the bill for the financial crisis, and not grassroots people through cuts to public spending,” says Gunson. In March this year, MPs in the European Parliament voted overwhelmingly in favour of a Financial Transaction Tax to be introduced across Europe. The Finnish government is in full support. “Given the pressures on our government’s Budget, which National is using to justify cuts to public spending, then it’s imperative that we look seriously at how a Financial Transaction Tax could work in New Zealand,” says Gunson. 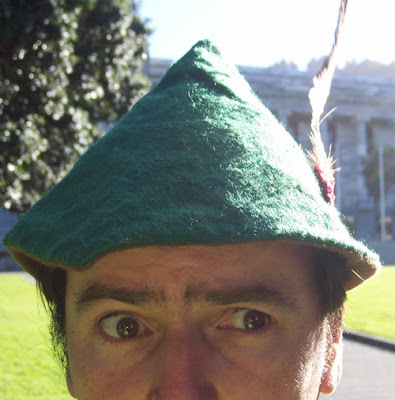 Another band of Robin Hoods will be outside the TVNZ studios on Victoria Street West in Auckland on Thursday 19 May between 12noon and 3pm. They’ll be collecting signatures for the Tax Justice petition which calls on parliament to remove GST from food and tax financial speculation instead. 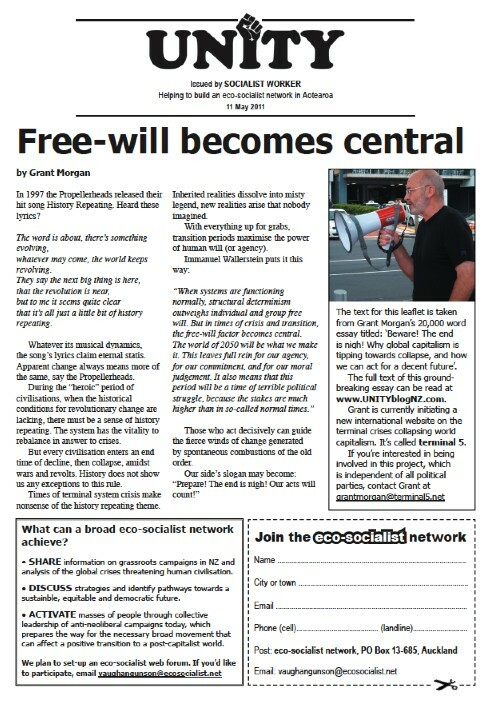 UNITY leaflet, 17 May 2011. To view and download click here. Things are coming together for our post-Budget push to get 10,000 more signatures for the Tax Justice petition, which requests parliament to: 1. Remove GST from Food; and 2. Tax Financial Speculation. Another 10,000 signatures will take us past 40,000, and on our way to 50,000+ by the time we present the petition to parliament in August. For everywhere else, contact Vaughan Gunson, Tax Justice campaign coordinator, email svpl@xtra.co.nz, phone (09)433 8897 or 021-0415 082. No matter where you are, you can help the campaign, by either collecting signatures from friends, family and workmates or setting up a Tax Justice petition stall on a busy street in your area. All you need is a small table, the petition on a clipboard, some pens, and a poster (anything with “GST off food” on it will bring people over). On Thursday 19 May (the day of the Budget), there will be a media preview at the TVNZ studios, 100 Victoria Street West, Auckland CBD. The media will be locked-in until 1.55pm. We want to have a crowd of people who support tax justice outside the TVNZ studios when the media leave. If you would like to come along dressed as Robin Hood (with toy bow and arrows) please do. Should be fun! All welcome. We’ll be collecting signatures for the Tax Justice petition from 12noon to 3pm on this busy central city street. If you do collect signatures for the Tax Justice petition in the days after the budget, then send in an email or txt the number you collected. Then we can add your efforts to the national total we’ll be releasing to the media. Hope you can help make a difference. 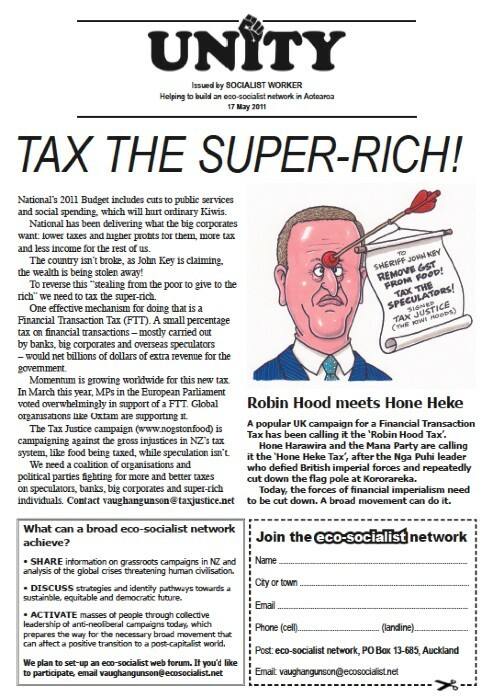 UNITY leaflet, 11 May 2011. To view and download click here. You can help. Contact Vaughan Gunson, Tax Justice campaign coordinator, straight away. Email svpl@xtra.co.nz, or ph/txt 021-0415 082. 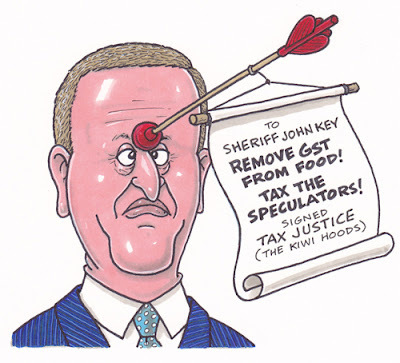 On Thursday 19 May, John Key’s National-led government will present their 2011 Budget. It will most certainly be an attack on grassroots people. There will be cuts to public services and social spending, which will hurt ordinary Kiwis. There will be other announcements that strengthen the hand of the market and enrich an elite few. John Key will try to justify the attacks by saying the government is spending too much and racking up debt. But in fact the government is not spending enough to help ordinary New Zealanders. They’re not spending enough to help the people of Christchurch who face a cold winter in damaged homes. And the reason the government is borrowing heavily is because they handed out tax cuts to the rich and big corporates. The country isn’t broke, the wealth is being stolen away! Removing GST from food would give immediate relief to people struggling to cope with the rising cost of living. It would set the country on a path to getting rid of GST, a horrible regressive tax, altogether. While we currently pay tax on our kai, the financial speculators operating in NZ markets are getting a free lunch (or should we say banquet?). They pay zero tax on their profiteering. This gross injustice must be stopped. 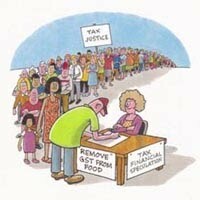 30,000 people have so far signed the Tax Justice petition. But we need heaps more signatures by the time we present the petition to parliament in August. That will increase our chances of making Tax Justice an election issue. We’ve done it before, we can do it again. We’re aiming to get 10,000 more signatures for the Tax Justice campaign in three days immediately following Budget 2011. A Budget that grassroots people are going to be angry about, which will translate into people wanting to sign the Tax Justice petition. We can count on it. We need volunteers from around the country. If you can help on a Tax Justice petition stall (a table on busy street) or organise one in your area between Friday 20 May and Sunday 22 May, contact me now. Email svpl@xtra.co.nz or ph/txt 021-0415 082 (anytime). Leading up to the Budget and afterwards we’ll be sending out a string of media releases. A big mobilisation of Tax Justice supporters around the country will help us break into the mainstream media, so important to the campaign. The Tax Justice demands are achievable. Winning them would be a big boost to the confidence of grassroots people in this country, from which many good things could flow. A similar bellicose (though not as derogatory) attitude is on the rise amongst China's leaders. For instance, military commanders are publicly boasting their armed forces will soon become the world's number one military machine. What does this mean? Well, when leaders of one of the planet's two big powers think they need to openly threaten leaders of the world's second big power, it means each is canceling the other out. It means neither power enjoys such an economic and military superiority that crude belligerence becomes an unnecessary impediment to smooth sway over lesser imperialists. So it's another sign, at the level of political immediacy, of America's irreversible slide from global hegemon to merely one of a number of rival imperialists. Yet it's also a sign that America retains enough muscle to block China, and any other rising power, from claiming the status of new hegemon. And, with all its advantages, the US state will continue to do so until the end of global capitalism. The emperor is dying, but his throne will remain empty. There will soon be no imperial hegemon with the strength to keep relative world order among fractious capitalist competitors. And that is sure to trigger a spike in inter-imperial tensions, as Trump's insulting threats indicate, bringing the prospect of shooting wars between nuclear-armed powers. It's a grim prospect. However, the Arab revolutionary wave shows us an era-changing alternative. stressing the coalescing of the system's majority so we promote the Global Uniting that can save us. We make no apology if the aims of terminal 5 are completely wanting in intellectual and political modesty. How else could it be? After all, world capitalism is falling apart under the terminal crises of profitability, ecology, resources, imperialism and legitimacy. To put up with antiquated analysis and sectarian strife would be civilisational suicide. For supplying group grunt to the creation of terminal 5, we thank Socialist Worker New Zealand, whose members include the website's trio of originators: Daphne Lawless, Peter de Waal and myself. From the outset, however, terminal 5 will be fiercely independent of any and every political party (a position that Socialist Worker fully agrees with). Certainly, eco-left parties can be useful, sometimes even essential, in the organisation of social progress. But parties are more known for limiting, rather than liberating, free thought. Anyway, the global scale on which terminal 5 must operate precludes the national circumference of parties. To give an idea of where the website's originators are coming from, recent essays by myself and Daphne are here and here. And my much longer analysis of the five terminal crises of global capitalism can be viewed here. We are now inviting expressions of interest from eco-leftists who would like to enter terminal 5 at the ground floor. Quality analysts around the planet are wanted. Also some web experts. Interested? Simply email office@terminal5.net and we can start talking. If you think this communication has validity, please spread it via email, blogs, Facebook and Twitter. Salute! 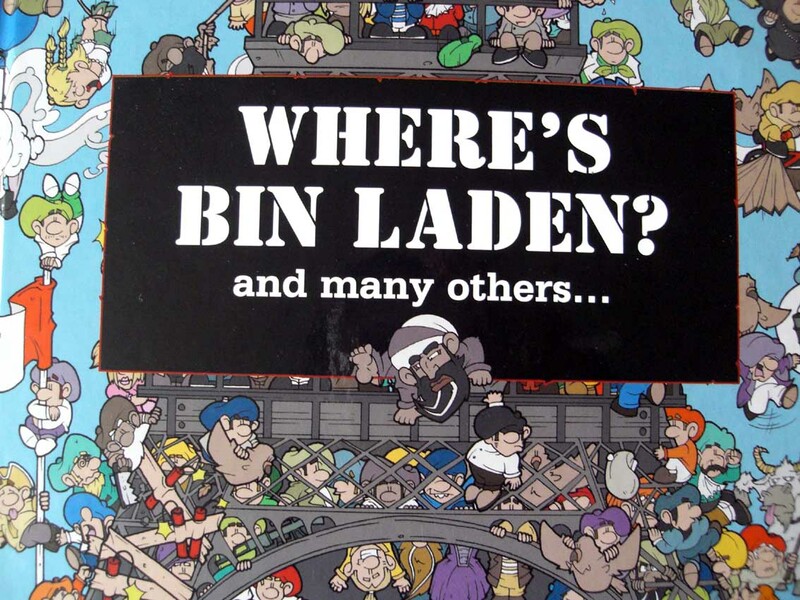 After all the hoopla at finding Bin Laden dies down, Washington is still faced with the reality of imperial decline. 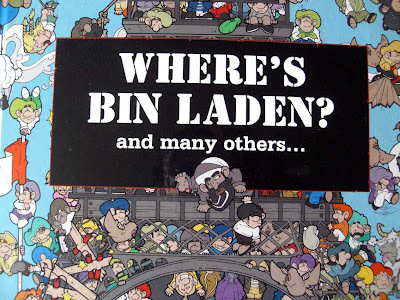 While Washington and the world's media play up the finding of Bin Laden — which means nothing in terms of actual geo-political realities — the obvious decline of US imperial power is becoming more apparent. Bogged down in Afghanistan and Iraq, uncertain in the face of the Arab revolts, and unable to dictate terms in South America, Washington's imperial reach is faltering. And they know it. Then there's China's emergence as an economic powerhouse. Washington is desperately worried China's rulers will turn economic momentum into military might that threatens US hegemony of the world. That's a widely accepted view. Tom Engelhardt in his article 'Are We Still on an Imperial Planet?' (reproduced below) provides a different take. Engelhardt accepts the decline of US imperial power, but raises serious questions about China's ability to become the next dominant power in the world. He raises the prospect of the US empire being the world's last. And goes so far as to say: "What if a world of rivalries, on a planet heading into resource scarcity, turned out to be less than imperial in nature? Or what if — and think of me as a devil’s advocate here — this turned out not to be an imperial world of bitter rivalries at all, but in the face of unexpectedly tough times, a partnership planet?" Are We Still on an Imperial Planet? Tired of Afghanistan and all those messy, oil-ish wars in the Greater Middle East that just don’t seem to pan out? Count on one thing: part of the U.S. military feels just the way you do, especially a largely sidelined Navy -- and that’s undoubtedly one of the reasons why, a few months back, the specter of China as this country’s future enemy once again reared its ugly head. Back before 9/11, China was, of course, the favored future uber-enemy of Secretary of Defense Donald Rumsfeld and all those neocons who signed onto the Project for the New American Century and later staffed George W. Bush’s administration. After all, if you wanted to build a military beyond compare to enforce a long-term Pax Americana on the planet, you needed a nightmare enemy large enough to justify all the advanced weapons systems in which you planned to invest. As late as June 2005, neocon journalist Robert Kaplan was still writing in the Atlantic about “How We Would Fight China,” an article with this provocative subhead: “The Middle East is just a blip. The American military contest with China in the Pacific will define the twenty-first century. And China will be a more formidable adversary than Russia ever was.” As everyone knows, however, that “blip” proved far too much for the Bush administration. I remember a time some years ago when the Egyptians lifted the closure temporarily in response to a particularly brutal atrocity and massacre of the Gazan citizens by fighter jets. The scenes of jubilation were shown on TV, mixed alongside feverish transfer of goods and people and scenes of rapturous family reunions. I imagine the celebrations of this opening will be even more joyous. Pat was one of the Kia Ora Gaza volunteers from New Zealand who joined a humanitarian convoy to deliver aid to the people of Gaza last year. 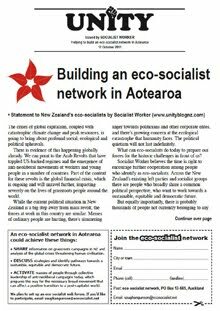 "Socialist Worker supports the Mana Party that Hone Harawira is helping to found." An illustrator's version of the bomb that triggered the "Haymarket affair," aka the Haymarket massacre of 1886. Chicago in 1886 was the most advanced, cutting-edge capitalist city in the world. Industrialization, commodification, and mechanization on an unprecedented scale transformed the raw materials of the newly opened West in far more efficient ways than anyone had previously imagined. But this new economic machine transformed workers—mainly European immigrants but also once-independent farmers and mechanics—into proletarian drudges working brutally long days. When the economy took one of its frequent dives, as it had not long before, employers slashed wages and crushed workers’ organizations. The announcement by Hone Harawira that the Mana Party will campaign for a Financial Transaction Tax is a big boost to the Tax Justice campaign. “The “Hone Heke” branding of a tax that targets the speculators, banks and big corporates might catch on,” says Vaughan Gunson, Tax Justice campaign coordinator. Mr Gunson says a tax on financial transactions of 1%, as the Mana Party is advocating, would bring in significant public revenue. “And we could fund the re-building of Christchurch, without slashing social spending, which is what John Key’s government is doing, and will continue to do,” says Gunson. The Mana Party is not the only party that supports a Financial Transaction Tax. It’s the policy of the Green Party, Maori Party and the Alliance Party. There’s also strong support from New Zealand’s union movement. “This broad support means that taxing the speculators is set to be an election issue,” says Gunson. Mr Gunson hopes a number of organisations and political parties will help to collect more signatures for the Tax Justice petition over the coming months. The Tax Justice petition requests parliament to 1. Remove GST from food; and 2. Tax financial speculation. Hone Harawira's launching of the Mana Party will bring back some much needed mana to the left. In Maori, Mana essentially means standing tall and proud. Today, Hone's launch of his new Treaty-based left wing political vehicle not only brings new hope for disadvantaged Maori but for all New Zealanders who feel that none of the current parliamentary parties represent working class values and aspirations. Before today, the Alliance Party (to which I belong) was the main standard bearer of social democratic/democratic socialist ideals on the Left. However, since splitting with Jim Anderton in 2002, the party's ability to project itself publicly has been handicapped by no longer having a mass based membership or sufficient financial resources. The corporate media has also hung up the phone on the party (despite the best efforts of its various spokespeople including me) and any media releases have only made it onto the Internet, if nowhere else. Now, the Mana Party affords the ability for parties on the left, including the Alliance, to constructively dialogue with Hone on how they might best fit into a new left wing arrangement. After all, Hone has publicly reiterated long-held Alliance policies such as on the need for further nationalisations, greater state control of the economy, progressive taxation and taking GST off all food. 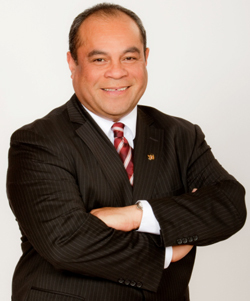 In stating this, I believe that Hone would not have gone as far as he has in projecting a strongly left wing programme without the advice of Mana backers like former Alliance president Matt McCarten, former anti-apartheid campaigner and long time socialist activist John Minto, and former Green MP and community activist Sue Bradford. I say this because the Mana Party could have been a Maori Party Mark II with a few nods given to social justice policies such as removing GST on food. But through the intervention of McCarten and other Left figures, the Mana Party looks like it could become a strongly Treaty-based party but with appeal to a broad Left wing voter base. 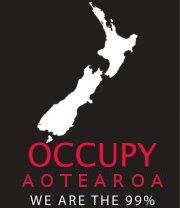 In so doing, it will have to tread a fine line between rightfully advocating for Treaty-based justice for Maori as well as social justice for all communities in Aotearoa/New Zealand. Further, there have been concerns expressed by some elements on the Left that Harawira has only been interested in advancing a race-based rather than class-based analysis on issues. I share some of these concerns, particularly regarding his comments on cross-racial relationships (and other matters) in the past, which I have commented on in this blog. Nevertheless, I strongly feel this should not preclude the Alliance or other parties/groups on the left (such as the Workers Party or RAM if they so chose) from pursuing an active and constructive dialogue with Hone and the Mana Party. Besides, there is a yearning need for a new,left-wing party based on working class values given that Labour fails to project a consistent or even entirely left-wing message and the Greens refusal to entirely rule out dealing with a re-elected National Government. And if it turns out that Hone's new Mana Party is the one to fill that gap, then so be it. There has long been talk, but no action, on the need to form a new left wing party. Hone Harawira has thrown down the gauntlet. The wider left outside of the Mana Party needs to meet that challenge and talk with Hone and his leadership team. And the first thing that fellow Left wingers can do is at least endorse Hone's campaign for re-election at the forthcoming Te Tai Tokerau by-election. That's what I am also doing here, straight off. I look forward to seeing other left wing activists do.